2. Once the drive is ready to use, click the Start button and type User Accounts in the Start Search box. 3. Press [Enter] or click User Accounts in the Results panel. Either way, you’ll see the User Accounts dialog box. You will need to locate and click Create A Password Reset Disk in the Tasks panel (Figure A). When the User Accounts dialog box appears, click Create A Password Reset Disk in the Tasks panel. 4. When you see the Forgotten Password Wizard’s Welcome screen, take a look at the information and click Next. 5. On the next screen, you’ll receive a prompt to choose your USB flash drive’s drive letter (Figure B). To continue, click Next. Choose the drive letter assigned to your USB flash drive. 6. On the next screen, type your Currrent User Account Password (Figure C) and then click Next. When prompted, type your current user account password and click Next. 7. You’ll see a rapidly moving progress bar. Once it reaches 100 percent, click Next, and you will see the last screen in the Forgotten Password Wizard. To complete the operation, click Finish. 8. Click the Safely Remove Hardware icon, choose your USB flash drive’s drive letter, and remove the drive when prompted to do so. 9. Label the drive and put it away in a safe place. While you may be tempted to label the drive Password Reset, remember that anyone who happens upon this drive can use it to bypass your password and break into your computer. Try a label that will help you recognize the drive but that isn’t so obvious. 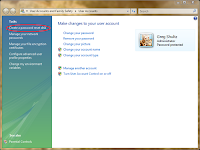 If you type an incorrect password in Vista, The User Name Or Password Is Incorrect error message will appear on the login screen (Figure D). Click OK.
1. Return to the login screen, where you will reset your password below the Password box (Figure E). 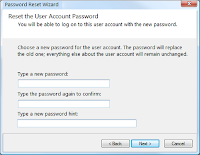 To launch the Password Reset Wizard, click the Reset Password message. 2. Insert your USB flash drive and wait for it to initialize and receive a drive letter. 3. To launch the Password Reset Wizard, click Reset Password. 4. When you see the Password Reset Wizard’s Welcome screen, take a look at the information and click Next. 5. Choose your USB flash drive’s drive letter (Figure F) on the next screen and click Next. Choose the drive letter assigned to your USB flash drive. 6. 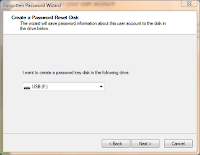 The Password Reset Wizard will open the saved file, read your saved password, and perform a few operations in the background. 7. The wizard will then prompt you to create and confirm a new password. You’ll also have to create a new password hint (Figure G). Create a new password, confirm it, and create a new hint. 8. Clicking Next will take you to the Success screen. Click Finish to complete the operation. 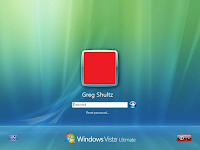 You can now use the new password to log on to your Vista system. 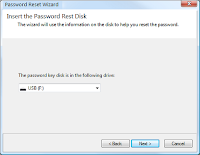 Note: As soon as you use the Password Reset Wizard to change your password, the information in the password reset file on the USB flash drive will be outdated. 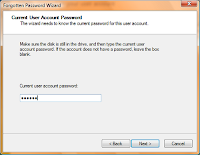 Therefore, as soon as you log back into Vista, you should run the Forgotten Password Wizard again and create a new password reset file.